keep a roof over their heads. pay his rent on time"
achieve long term success in maintaining housing. Your donation to Avodah will help ensure continued support for this program. with renewed strength and dedication. deodorant, nall clippers and files. goods, such as peanut butter, tuna, canned fruit, cereal always needed as well. Greater Victoria Public Library branches. 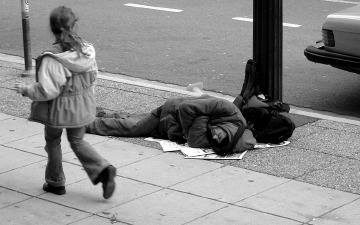 plan to address systemic causes of poverty. You can check out www.chewonthis.ca for more details. 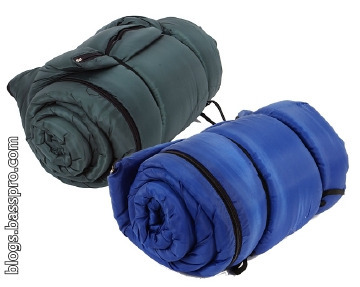 Avodah is very pleased to report that thanks to our caring, generous donors, Avodah has bought 75 new sleeping bags and 60 mylar emergency blankets to meet the critical need of people living on the street. Avodah has also received and donated twenty new blankets to the Greater Victoria Extreme Weather Response Plan, which kicks in on the coldest nights of the year to provide emergency shelter. Sincere thanks to all our donors who responded so immediately to our sleeping bag appeal, with special thanks to Sleeping Bag Lady Jackie for her determination and action to get these much-needed sleeping bags out on the streets asap! Avodah invites and thanks you for your donations, which make it possible for us to help people in huge need. Together, with your support, we can continue to make a difference in our community. Help those experiencing homelessness in our community. 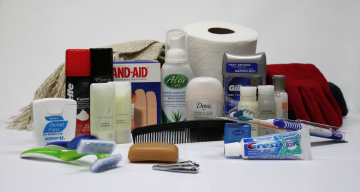 Avodah is now collecting items for Project Connect care packs. Project Connect is a service fair for people experiencing homelessness and extreme poverty. It takes place on Oct. 21 at Our Place. Each of the 700 people who attend will receive a care pack, full of essential items for the coming winter months. Donations can also be dropped off at Anawim House, 973 Caledonia Ave, from Oct. 15 – 18. Project Connect is organized by the Greater Victoria Coalition to End Homelessness.